How to create an Awesome Dental Facebook page? It can be hard to know where to start when creating an awesome dental Facebook page for your business. Understandably many of our first interactions with the platform were on a personal level. A new and exciting way to chat and share with friends, but what about your fans? A Facebook business page allows you to not only target your audience but also grow your audience. Fans of your practice can like and follow your page to keep up to date on all things, well, you. Facebook now boasts nearly 2 billion active users a month. Including your potential customers and clients. 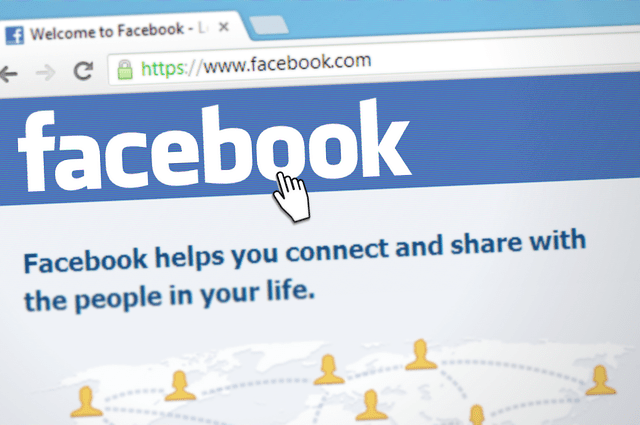 It is important to note that while Facebook is, at its core a somewhat personal way to connect, you do want to be creating a business page. As this allows you access to many different features and opportunities. One of the main ones being that your fans and potential leads can follow you and remain loyal to you much more easily. Furthermore, you gain access to analytics which allows you to see how your posts and page are doing. Helping you to see strengths and also areas to improve. To begin when creating a business page, you will be asked to fill out your basic information. When creating a page, it will ask if you are a business or brand with the second option of community or public figure. Once you have selected, it will take you through to page name and category. Here, create your page name remember building a brand is all about recognition you want people to know who you are, so it is important to make sure your Facebook page is no different. Secondly, you can search for your category allowing you to pinpoint exactly who you are and what you do. Once your category is selected fill out the rest of the information, so people know where you are and how to contact you. You may not know what you are doing but at least you will look like you do. Choosing a profile picture may seem like a simple step, which it is, but can also be simple to get wrong. Your profile picture will appear above all of your posts and in many cases be the face of your practice on social media. It is important to note that building a brand is about recognition. The goal here is to make sure that people see your profile photo and instantly connect it to your business. In terms of physical dimensions, the best profile picture should be at least 180 pixels wide and tall. The higher quality the better, in a world with better screens and even better eye care people will be able to notice a low-quality image and this could turn them away from your business. This does not mean you need an insane eye capturing photo, there is no harm in keeping a profile image minimalist and to the point. As long as it does so with high standards. Another aspect to accompany your profile picture is your cover photo. A cover photo is a great way to captive interested new consumers as well as established ones. For example, if we look to The Creative Composite Facebook page we can see an excellent example of how to use a cover photo to entice your audience. Through the inclusion of an inspirational quote, it gives value to its audience on first viewing. Furthermore, in the side menu, you can see a call to action. Whilst a cover photo does not need to be a call to action or advertisement it is important to note there is no harm in using all aspects of your Facebook page to the fullest of its potential. Facebook cover photo dimensions are 851 x 315px,but only the centre 563 x 315pxportion of the picture appears on mobile. Like with your website it is important to remember mobile and smaller devices make sure that your cover photo and profile are still clear and shown in full as many people spend time on their phones when online. Facebook is an app and a very popular one at that. Remember, people, open the best-wrapped gifts first. So, you have a beautiful looking Facebook page, but what information is actually there at this point? Not a lot. Facebook, no longer includes short 155 character descriptions on the front page of your business profile instead, curious customers can click through to the ‘About’ tab. Here is your chance to shine, including what you do, who you are and any other important company milestones. Ones you have already achieved and the ones you hope to achieve in the future. For example, if you are a small practice looking to grow, include the markets you want to be venerating into next or new services. It is important to not drone on for too long though, remember people have clicked about to also find how to contact you or looking for a website link. The examples shown here are from the Oakley Dental Facebook page. As a local dentist, they include important details that instantly answer any questions of curious existing and new patients. Including opening time, price range and even a link to a short blog addressing nervous patients, something they no doubt come across every day. Whilst people exploring your page are curious and wanting to learn more, they are not looking for an essay. Leave the longer posts for your blogs. It is also important to remember that as you grow and develop you can change your description, milestones and anything in your ‘About’ tab at any time. Okay, okay so maybe every blog and piece of content you post may not be the next viral sensation, but it is important to note that what people want when they visit Facebook is content. You, yourself spend time on platforms such as Facebook to consume content. This is where it is important to consider your buyer persona, what do they want from your Facebook page? What are they looking for? What will keep them coming back for more? You know your target audience and the kind of people you want to attract, so use what you already know to your advantage. It is worth publishing several posts before inviting people to like and follow, this way when you do get potential customers to follow they are going to a page that already has information which they want and find useful to them. When considering the kind of content, it is important to note that visual is the way to go. Visual content has become the key for basically all social media and Facebook is no different. After all, it is 40 times more likely to be shared than any other kinds of content. If people want to read more they will click through to your blog posts, or website links, but it is important to remember that people will only do that if they have been pulled in by visually engaging and informative content. For example, if we look at the Oakley Dental Facebook page there are multiple videos that act as showcases for the team and facilities available. Using the videos to show off the team at the practice is an effective way of adding a personable and approachable element, this allows them to draw in more customers and build loyal relationships with their current client base. Once your page has some established content that your target demographic will find interesting you are ready to invite friends and begin promoting your page. Once you have set up your businesses page you can invite your existing friends to like and follow your page. This is easy to do at just the click of a button and is a feature that is included within Facebook. There’s nothing wrong with allowing your existing friends to do a bit of the legwork for you, encourage them to like and share your page. You can always promise a pint in return. Of course, there are other ways in which to promote your Facebook page. Including links to your website and blog posts, including it in your email signature, so people always know how to find you on Facebook. Whilst you cannot promise a pint for everyone who likes, follows and shares, you can provide them with value. If people find value from your Facebook and its content they will, in turn, provide you with the value of shares and likes. The number one thing to keep in mind is the user experience. People will naturally recommend and share anything they themselves found useful and enjoyable. This is where it can be important to offer an experience that is exclusive to your Facebook. For example, including a discount code that customers can only find on your Facebook page, or discount customers can only g et after liking or sharing your page. It is important to acknowledge and appreciate the fans who remain loyal to you, reward them with discounts, giveaways and bonus content. For example, looking back to Oakley Dental, Facebook page; the cover photo also acts as a slide show. At first, showing the team (again personal and approachable) but then as you slide across moves into services and even call to actions. In the example shown you can see a cover photo including ‘Book your free consultation today’. As previously mentioned user experience is everything. At the end of the day, you want to convert visitors on your Facebook page into customers and clients. Furthermore, once converted you want to keep those consumers loyal to you. Facebook, is all about communication, after all, it is called social media for a reason. Do not be afraid to interact, whilst it is not necessary to respond to every comment on every post. It is important to keep a watchful eye over conversations happening and never been afraid to dive in, so you can address concerns, queries and questions. Another helpful feature is using the built-in chat service, have a chat head pop-up when people open your Facebook page, so they can instantly ask and enquire if they do not want to spend time exploring for themselves. This also allows people to air any complaints and concerns (not that you get many of those). You can set up a private message by going to settings, clicking through to general then messages. Facebook will also show how responsive you are, so make sure to respond in a timely manner because if people see a low response rate they may turn away from your business. Looking to The Creative Composite it says they typically reply within minutes. Of course, this is a great response rate but note that there should always more than one way to contact your business as there is on The Creative Composites page. Other methods such as via phone, email and even other social media channels. At the end of the day, you do not want your Facebook page to feel like a soulless company spamming newsfeeds with offers and promotions, but instead a real friend, a helping hand that offers the solutions to whatever your audiences problem or need may be. One of the many advantages of using a Facebook business page is that you can track and analyse your page using Facebook analytics. This is easily accessible from your page inside the settings tab. This will allow you to track your progress, and see what content works and what doesn’t. Also lets you see what times are best to post and which posts have received the most attention. Note that there is always more to learn from and therefore always more to improve, an online fan base does not have a capacity, and an online community allows for all niches and needs to find a space to call home. No matter your practice, setting up an awesome dental Facebook page will only increase your reach as you continue to grow your business. By following these steps and making sure to always consider user experience at every stage you are well on your way to using Facebook to the fullest potential.